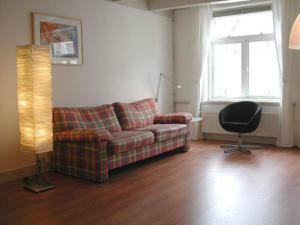 The Old Harbour Top Apartment, Amsterdam discount hotels and accommodation. Set right in the heart of our historic city, The Old Harbour Top Apartment is the best choice for couples or a group of friends who want to enjoy Amsterdam in great style. It is set in a 17th Century Golden Age House that has been redesigned during the last 10 years by one of our Amsterdam's architects, along the former Amsterdam's Harbour front, ten minutes walk from Central Station. View photos, room descriptions and make online reservations at The Old Harbour Top Apartment. Save on room prices at The Old Harbour Top Apartment, Amsterdam.